34-year-old Abiodun allegedly hired a 3-man hired killer gang and paid them an undisclosed amount of money to assassinate his ex-wife, Eniola who dumped him 6 months after their wedding. Abiodun allegedly sent the hired killers to 15 Ogunmokun street in Mushin area of Lagos to murder Eniola but luckily she escaped and reported the matter to Olosan Police station. Abiodun was promptly arrested but the hired assassins escaped. Abiodun told the police that trouble started after they got married and Eniola started behaving strangely and was coming home late. He said he confirmed his suspicion when he caught his wife with her lover. The suspect said that when he confronted Eniola, instead of showing remorse, she packed out of their matrimonial home and moved into her lover’s house. Atinuke was charged before the court for conspiracy and conduct likely to breach public peace. The suspect was remanded in Prison custody because he couldn’t meet his bail condition. The matter was adjourned till the September 2014. See evil man, he was able to pay hired killers but didn’t have money to bail himself. 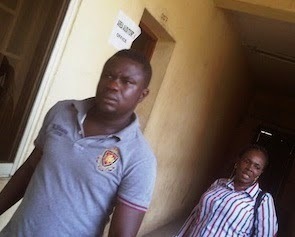 If trully the woman is unfaithful barely six months after her marriage she can fabricated the accusation and if d man had allowed Satan and his sinful flesh to take contol of his sense of reasoning ,he can do it but the case has been adjourned ,the judgement is yet to be delivered therefore don’t let us reffer to him as evil man. Are you people nuts? satan? where to you get this bed time story about satan? The man is clearly jelaous and didn’t handle that the woman was leaving him and then went to find someone who can kill her to “restore his pride”. Have you people forgot where you live? It’s a mans world there and the “man” can’t tolerate when a woman is leaving him. If this would be other way around then nothing would be wrong in his eyes and not in public eye. This man is no less evil then the whole damn government over there who have made these rules ,how man can do literally everything and the woman can’t do nothing without suffering for it. OR to you think the “satan” is running your country too? 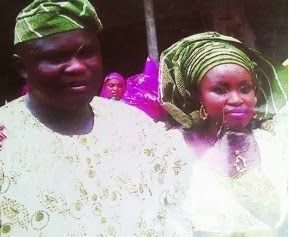 both of them are evil,,,why must she cheat just 6months of marriage? ?